Turn with me to 1 Corinthians 12. We covered an awful lot of ground last week, probably too much - I apologize for that, but it is an in-depth subject, what we were looking at last week: 'Tongues and Interpretation'. You'll probably have to listen over to that again to get the depth of what I was sharing. We'll try, hopefully, to do a bit better here today with the gift of "Prophecy". Now, let me just remind you, before we read anything, that this is inaccurate - what you see on the screen, the division of the categories of the gifts of the Spirit, because there's overlap. As we saw, about the colours of the rainbow, there's kind of overlap, where they phase into one another. But we, for our help, we've carved them up into power gifts (which is faith, healing, miracles), revelation gifts (word of knowledge, word of wisdom, discerning of spirits), and vocal gifts, which we've been looking at the last two weeks: tongues, interpretation of tongues - and this week, we're looking at prophecy. I just want to read two verses. First of all, chapter 12 verse 31 - we read all these passages, by the way, last week, we'll not do that again. Verse 31 of chapter 12: "But earnestly desire the best gifts. And yet I show you a more excellent way". And then he gives us this great purple passage on love, and he tells us that you can have the most supernatural, charismatic ministry in the world - but if you don't have love, you're nothing and it's worth nothing. That must be - and I can't keep recapping the things I did in the introductory week - but that must be a foundation of supernatural ministry: love. Very often it's not, and that's why some of you have got hurt with people who have believed in the gifts of Spirit, because they haven't been exercised in love, grace and sensitivity. Verse 1 of chapter 14: "Pursue love", so he's just finished talking about this love, "Pursue love, and desire spiritual gifts, but especially that you may prophesy". Some people kind of pit against each other the fruit of the Spirit and the gifts of the Spirit. They say the fruit of the Spirit is much more important than the gifts of the Spirit - that's not true. The weight of Scripture is not either or, but both and - and we are to pursue love, but desire spiritual gifts, especially that we might prophesy. So we've got to have the fruit and the gifts of the Spirit being manifest in our lives. But he then adds this other emphasis: "Especially that you might prophesy". He sets prophecy higher than any other spiritual gift. Can I say, before we move on from that: love is connected with the gift of prophecy. Here's the reason why: because prophecy edifies the church - and if you love the church, you'll want the church to be built up. The only way the church can be built up, in a New Testament sense, is through the gift of prophecy. So basically, if you love the church, you will want prophecy to be there. To ignore prophecy is not only to ignore Scripture, it's to ignore God's means whereby the local church can be edified and strengthened. It's the best gift in all the gifts, because it fulfills God's purpose for spiritual gifts the best. What is that purpose? Edification. Over and over we've seen this word - anything that's not edifying, we're to forget about it. That's why understanding needs to be there, and that's why Paul has prophecy in all of his lists of the gifts of the Spirit, and why it's prioritized in those lists. Let's just compare tongues with prophecy as it's in this passage. Tongues speaks to God - we saw that - but prophecy speaks to people. Tongues speaks mysteries to God, nobody understands what they're saying unless it's interpreted - that's why that gift is necessary - but prophecy speaks words understood by the speaker and the hearers. Tongues edifies the individual when the individual is praying in tongues, when there's not interpretation in the church; whereas prophecy edifies the church, because there is understanding of what is being said. Now there are occasions in Acts where there were tongues and prophecy together, but I want you to understand this about prophecy - and this is central to it: prophecy has the power to bring about what it proclaims. So, when a true word of prophecy is being given, inherent within it is the actual dynamism of God's Spirit to make that thing happen. It may not happen immediately, but it will happen. Now prophecy can have many functions and purposes. For instance, prophecy may bring guidance to people - and we see that in the Bible, you know Joseph, the husband of Mary, guardian of Jesus, was given dreams to guide him. There were prophetic dreams, instructive, and visions can be the same - they're different in that you have visions normally in the daytime, unless they're night visions, dreams, and they can be again directive, but they're prophetic when they're like that. Prophecy can read the hearts of individuals who are hearing - and we see that actually in this portion of Scripture, in chapter 14 of Corinthians. You remember verses 24 and 25: 'If all prophesy, and an unbeliever or an uninformed person comes in, he is convinced by all, he is convicted by all. And thus the secrets of his heart are revealed; and so, falling down on his face, he will worship God and report that God is truly among you'. So, through prophecy, our hearts can be exposed to the light of God. Prophecy can see the invisible. You remember Anna and Simeon in the Temple, and Jesus was brought in as a little baby, and they were able to see in Him something that other people couldn't see. That was a prophetic sight, or insight. There's also a foretelling aspect to prophecy. I don't have time to look at it with you, but in Acts chapter 11 there's a prophet, who we'll mention again later on, called Agabus. He prophesied that there was a famine going to come upon the whole world - and it then did take place, and that was a foretelling prophecy. But not all prophecy is foretelling. In fact, I would say most of it is what we might describe as forth-telling, actually, a 'now' word that God is speaking now over people's lives. So there are various operations of prophecy. But what I will say is this to you: in the Acts of the Apostles, and through the teaching of the epistles, we discover that prophecy was part of the normal life of the routine, early church. If we're going to see the church built up today in Lisburn, in Ireland, prophecy has got to be foundational to the gifts of the Spirit being used. First of all, I want to ask and answer the question: who can prophesy? In the New Covenant, we see it in Acts 2 - put a marker in there in Corinthians, and come with me to Acts 2, the Day of Pentecost. Peter is trying to bring understanding, edification to the people who have witnessed this speaking in tongues, people hearing in their own languages - and we showed you last week how Acts 2 can be different than 1 Corinthians 12 and 14; but leaving that aside, Peter is wanting to say: 'Now, this is that, this is what's happening here in a biblical sense. I'm going to explain to you this phenomenon'. In verse 16, he quotes Joel 2: 'This is what was spoken by the prophet Joel: 'And it shall come to pass in the last days, says God, that I will pour out of My Spirit on all flesh; your sons and your daughters shall prophesy, your young men shall see visions, your old men shall dream dreams' - that's maybe happening to some of you already in the gathering - 'And on My menservants and on My maidservants I will pour out My Spirit in those days; and they shall prophesy''. Now that's a pretty comprehensive description there of different types of people, isn't it? There are old people mentioned; but the other three categories, if you look at it, are actually young people. Women are mentioned there. In fact, in 1 Corinthians 11:5, it talks about certain church order in the early church (we'll not get into that in its detail), but it does say that when women pray or prophesy they should have their heads covered. There needs to be an exposition of that passage, and indeed the other one that I did skip over - OK, I'll grant you, I skipped over the bit about the women keeping silent in the church in chapter 14, because - look - I had enough trouble with the gifts, I'm not getting into that one in my weeks here! But you understand that this is for both sexes, the prophetic gift. In fact, in Acts 21 we read of Philip, who was an evangelist, who had four daughters who were prophetesses. Derek Prince actually says 'Considering the culture in the Middle East, it's extremely unlikely that Philip would have had four unmarried daughters who were much older than fifteen. So, in all likelihood, these four virgin daughters, they're described as, were fifteen or below. These were young girls, and they were prophetesses. Imagine if your kids started prophesying to you! It can happen. Someone said there is no Junior Holy Spirit - isn't that true? What I want to emphasize here is that the prophetic ministry now in the New Covenant is broadening. The coming of Christ into the world did not end the gift of prophecy, but rather extended it to all of God's children: 'They shall prophesy'. Now there are several differences between Old Testament and New Testament prophecy, and we can't go into it all here today - but what we will say is this: God envisaged a community of the prophetic in the New Covenant. Do you remember when the prophet was encouraged to stop others prophesying? He said, 'I wish everybody could prophesy. I wish the Spirit would come on everybody'. That's what we see a fulfillment of in the New Testament: a community of prophecy. All can prophesy. Now, let me emphasize this distinction: I'm not saying that everyone has the gift of prophecy. You may say: 'Well, what's the difference?'. Well, what I'm saying is: every one of you can pray for someone else to be healed. If any of you are confronted by a demonic spirit, you've all got the authority and the power to deal with that. That's what Mark 16 talks about: 'They shall cast out demons; they shall lay hands on the sick' - who are they? Those who believe. So, you might be able to give a word of prophecy to someone, but it doesn't mean that you're operating in the gifting of prophecy most of the time - which I think your pastor, Gary, has. Then there's another distinction between just prophesying to someone and having the gift of prophecy, and then another level is 'the prophet', which is more like an office. Remember the gifts that we talked about in Ephesians 4 that are the people, the people are the gifts, not the abilities - that's chapters 12, 13 and 14 of Corinthians - but in chapter 4 of Ephesians, the people: apostles, pastors, evangelists, teachers - so they are the people that are the gifts. Are you with me? So there is a distinction. But when we talk about prophecy of encouraging one another in the Spirit, and we will tease that out a little bit more, it says we all can do this. If you look at chapter 14, look at verse 31, we have an accurate description of what prophecy should be like. Chapter 14 verse 31: 'For you can all prophesy' - there's the 'all' - 'one by one, that all may learn and all may be encouraged'. So understanding is important, encouragement is important, and then go to chapter 14 verse 4. This is a key verse to do with prophecy: 'He who speaks in a tongue edifies himself, but he who prophesies edifies the church'. It's all about building up. The preceding verse, verse 3, tells us three ways that prophecy builds up the church. 'He who prophesies speaks edification' - another word for that is 'strengthening' - 'exhortation' - which is another word for 'encouragement' - 'and comfort', which is 'comfort', 'to men'. So, this is what prophecy is meant to do, OK? 'Edify', which is 'build up'; 'exhort', which is 'stir up', motivate people; and 'comfort', which is 'cheer up'. So, the difference, intrinsically, between the Old Testament prophecy and New Testament is: New Testament edifies, builds up, exhorts, stirs up, and comforts, cheers up; whereas, generally speaking, prophecy in the Old Testament was judgmental. Prophecy in the Old Testament, generally speaking, was more to unbelievers who were in the congregation of God's people nevertheless, but they were unbelieving, they were disobedient, and God's prophets were bringing judgment. Whereas in the New Testament, prophecy, we've read together, is a sign to believers that God is in their midst and even unbelievers can be affected by that. So, sometimes the 'prophets' that we see in the church today, they're always blazing bolts of fire and judgment to this city, that city, the other city. They're condemning people for their sin, etc. We have to be very careful, because that doesn't always align with what New Testament prophecy is. New Testament prophecy certainly never does the devil's work - and he is the accuser of the brothers. He's the condemner; whereas� the Holy Spirit, 'Parakletos', you've heard that word already, is the One who comes alongside, comforts, helps, counsels. He is our Advocate from God. That doesn't mean that a word of prophecy can't be corrective, can't bring a certain amount of discipline, or even be quite stern at times. But New Testament prophecy, the general tone of it is not judgment, but building up, stirring up, and cheering up - edifying, exhorting, and comforting. Do you get it? But I'm sure you, hopefully, are picking up as I'm going through here, that God does not discourage believers from prophesying. On the contrary, He encourages it. So, what exactly is it? Well, effectively, it is speaking to people from God. That's quite simple. But it's telling something that God has spontaneously brought to you. A word in season, you may want to look up Isaiah 50:4 at some stage, a word in season is a word of prophecy. Now, one of the objections to this, you know, prophecy being a message from God is: 'Well, does this not demean Scripture? Does this not make prophecy equal to Scripture?'. I've had people say to me, you know, 'You need all these blank note papers at the back of your Bible to fill in all the prophecies that are being made. You're adding to Holy Scripture, and Scripture is quite clear that you ought not to do that'. The fact of the matter is: New Testament prophets never ever spoke with the same authority equal to Scripture. Turn with me to Acts chapter 21. We're seeing this guy Agabus again, who I mentioned earlier. Acts chapter 21:4, Luke writes: 'And finding disciples, we stayed there seven days. They told Paul through the Spirit not to go up to Jerusalem'. Now, what does that say? Was this a false prophecy? No, it says: 'They told Paul through', what? 'The Holy Spirit not to go', where? 'Up to Jerusalem'. Now come with me up then to verse 11, verse 10: 'And as we stayed many days, a certain prophet named Agabus came down from Judea. When he had come to us, he took Paul’s belt, bound his own hands and feet, and said, 'Thus says the Holy Spirit, ‘So shall the Jews at Jerusalem bind the man who owns this belt, and deliver him into the hands of the Gentiles''. Now when we heard these things, both we and those from that place', from Judaea with Agabus, 'pleaded with him not to go up to Jerusalem. Then Paul answered, 'What do you mean by weeping and breaking my heart? For I am ready not only to be bound, but also to die at Jerusalem for the name of the Lord Jesus''. Now, what's going on here? Well, Agabus brought a word that if Paul went to Jerusalem he'd be bound and in danger, and he said it was from the Holy Spirit, and Paul ignored it. He went to Jerusalem, and he said, 'Look, don't break my heart guys!' - because they're all begging: 'Don't go there! This is what the Holy Spirit says is going to happen!'. He says: 'Don't break my heart, I'm going!' - and he went. So, if prophecy is equal to Scripture, Paul disobeyed Scripture. But, you see, it's not. You say: 'Well, what's, what's the anomaly here?'. Well, the anomaly is: Agabus got a message from the Holy Spirit, but his interpretation of that was: 'Yes, Paul, you're going to Jerusalem, and you're going to be bound and hurt, but you shouldn't go'. That was his spin on it, that was the human dimension that he added. That's often what happens in prophecy. God downloads something, and we put our particular slant on it. But Paul, recognizing he was actually destined to go Jerusalem for this reason, heard that the Holy Spirit was warning him: 'Brace yourself for what's coming', but it wasn't a directive to stop him to go. You see, there's a learning process in this. We're all learning. Look at chapter 14 of Corinthians again, verse 29. We're considering if prophecy demeans scripture: 'Let two or three prophets speak, and let the others judge' - or 'weigh'. If prophecy is as authoritative as Scripture, why would we weigh it? We're not to question Scripture, are we? But it says here that we ought to weigh prophecy. Then something else is obvious, that we are to be accountable to Scripture in what's being prophesied, and we're to be accountable to the rest of the body of Christ. First Thessalonians 5:19-21: 'Do not quench the Spirit ' - don't put out the fire of the Spirit - 'Do not despise prophecies. Test all things; hold fast what is good'. Do you think these Thessalonians would have despised Scripture, or something equal to Scripture? Now, do you think these Thessalonians would have despised Scripture, or something equal to Scripture? If prophecy was equal to Scripture? They wouldn't have despised the Word of God in the sense of holy, inspired writ. But what is being said here is: there needs to be an operation of your discernment when prophetic words are given. Don't despise them, but see what is good and what is bad. So, you can have bad prophetic stuff going on. Paul is saying you need to discern between them: keep what's good, reject what's not, but there has to be this accountability to the Holy Scriptures and to the rest of the body of Christ. If you look at verse 30 of chapter 14 of Corinthians, verse 30: 'But if anything is revealed to another who sits by, let the first keep silent'. So, what's happening here is: one chap or lady starts prophesying, and then somebody else gets a download from God, a word from God of edification, exhortation and comfort. When they get it, the first one has to keep quiet and let them deliver it. Now, why would you cut someone off in mid-flight if they were delivering a word from God that was equal to Holy Scripture? You wouldn't do it. You wouldn't permit any interruptions - isn't that right? So this is not equal with Scripture at all. On the contrary, if you look at verse 36, Paul actually distinguishes between prophecy and the Word of God: 'Or did the word of God come originally from you? Or was it you only that it reached? If anyone thinks himself to be a prophet', there it is, 'or spiritual, let him acknowledge that the things which I write to you are the commandments of the Lord. But if anyone is ignorant, let him be ignorant'. So there he is pitching these prophets, and those who thought they were spiritual, against Paul, who was the apostle, and the one inspired by the Holy Spirit, giving us most of our New Testament, and saying: 'There's no much for these two things'. Prophecy is vital, and it's primary in the church, but let's not fall into this trap of thinking that anyone is saying that it's equal to Holy Scripture. So, that should temper how we describe words of prophecy. We should realize that prophecy should not be considered as God's word, but human words that the Holy Spirit has influenced; human words that the Holy Spirit has influenced to bring, edification, build up, exhortation, stir up, and comfort, cheer up. Therefore, we should not be walking in - Gary, some morning walks in with the microphone and says: 'Thus says the Lord'. OK? 'The Lord says to you: 'Do this, do that, do the other''. We would be better saying things like: 'I think maybe the Lord is saying', or 'It seems to me that maybe the Lord might be saying' - and we certainly should not be controlling or manipulative in words that we share with others. 'If you don't do this, this is going to happen' - that's witchcraft, that's control and manipulation. So, you might be sitting there saying: 'Well, what about false prophets and false prophecy?'. Well, there's many warnings about this in Scripture that we don't have time to look at. In the Sermon on the Mount in particular, Matthew 7, Matthew 24, in the last days there will be an increase of false prophets, false Christs and even doing signs and wonders. So, how do we discern the true from the false? Well, let me give you four criteria to test prophecy and prophets. The first is a truth test. Is what is being shared in accordance with the truth of God's revealed will in His Word? Because the Spirit doesn't contradict Himself - you know that, don't you? First John 4:1-3: 'Beloved, do not believe every spirit, but test the spirits, whether they are of God; because many false prophets have gone out into the world. By this you know the Spirit of God: Every spirit that confesses that Jesus Christ has come in the flesh is of God, and every spirit that does not confess that Jesus Christ has come in the flesh is not of God. And this is the spirit of the Antichrist, which you have heard was coming, and is now already in the world'. So, the truth test is: it will not contradict what the Bible teaches, and specifically what the Bible says about Jesus Christ. Remember chapter 12 of Corinthians verse 3, there was this test: 'Therefore I make known to you that no one speaking by the Spirit of God calls Jesus accursed, and no one can say that Jesus is Lord except by the Holy Spirit'. So, this gift of prophecy, like any of the other gifts: is it presenting the authentic Jesus? Is it glorifying Jesus? Is it about Jesus? First Peter 4:10-11 talks about how the gifts have to bring glory to Jesus: 'As each one has received a gift, minister it to one another, as good stewards of the manifold grace of God. If anyone speaks, let him speak as the oracles of God. If anyone ministers, let him do it as with the ability which God supplies' - here's the reason - 'that in all things God may be glorified through Jesus Christ, to whom belong the glory and the dominion forever and ever. Amen'. Melanie, sharing her testimony - I know I was the one here and praying and so on, but her healing was nothing to do with me, other than me being a facilitator for what God wants to do and cooperating with Him. We do have a part to play, but the glory doesn't come to us, it must go to God. So, there's the truth test: does it agree with Scripture? Does it agree with who Jesus is? He came in the flesh - is the doctrine about Jesus sound and does it bring glory to Him? A second test is the love test. We've spent a lot of time talking about chapter 13, but even when a word of prophecy may be correctional or a word of warning, it might be stern, but it has to be edifying and it must not be judgmental. The truth test: does it agree with Scripture? Does it agree with who Jesus is? The third test, after truth and love, is the order test. The place for New Testament prophecy is the local church, that's where it's meant to happen. We get into problems when there are 'Lone Ranger' prophets wandering around with no accountability to local church structures, and coming off with certain things, and predicting things, and no accountability. Then, when it doesn't happen, there's no one there to say: 'Look, what's going on with you?'. So that's why you need to check yourself, if you've got a prophetic word according to Scripture, and according to the things that we've already mentioned: love and truth. But when we give prophetic words, it must be with accountability to our local structure. So, I would encourage you, unless you're a trusted person, trusted by the leadership here, you shouldn't just give a prophetic word, you should be putting it through your pastor and the others who are in authority. You see, no one has the operation of a spiritual gift in perfection. So, we need the other prophets, and we need the other leaders to discern in a prophetic culture. So there needs to be order: no 'Lone Rangers'. Some prophetic people are a bit like this. It's not that they're not prophetic, it's just they need to come into order. They could have a genuine gift, but it needs to be ordered. Truth test, love test, order test - and finally, the fruit test. Jesus gave us this very clear understanding of how to know a false prophet from a true prophet: 'Beware of false prophets', Matthew 7:15-17, 'who come to you in sheep’s clothing, but inwardly' - this is the important emphasis, 'inwardly they are ravenous wolves. You will know them by their fruits'. So, the inward root of the heart will be manifested in wrong fruit in their life. 'Do men gather grapes from thornbushes or figs from thistles? Even so, every good tree bears good fruit, but a bad tree bears bad fruit'. So, if you want to know who's a false prophet and who's a true prophet, or if you want to know what's a prophecy you need to take heed of or ignore, you need to look for fruit in the person's life. First of all, fruit of the Spirit needs to be there - it'll not be there perfectly, but it needs to be evident. What are they? Galatians 5:22-23: love joy, peace, longsuffering, gentleness, goodness, meekness, faithfulness, self-control. There's also the fruit of supernatural works as well, that's spoken of in John chapter 15. But gifting, whilst it's important, has to be in tension with fruit of character. So there's the tests. Have you got it? Truth test, love test, order test and fruit test. Well, quickly, in the time that we have, let's look at how - and this will be quick - how do we prophesy? Just assuming you're not a prophet, and you maybe don't even have the gift of prophecy, how do you recognize if God is giving you a word of encouragement, strengthening, or comfort to someone else? Well, it's often spontaneous to the mind - a bit like words of knowledge and wisdom. It can be impressed on your consciousness, where you just feel and sense that God wants you to say something to someone. Paul actually calls this, by the way, if you look at chapter 14, if you look at verses 30 and 31, he calls it 'revelation'. That's where a lot of conservative Christians panic, because they think we're talking about Holy Scripture here. Actually, Paul used that term 'revelation' in a broader sense than biblical inspiration. I could give you a number of verses to show where that's the case, but he's talking about how God is breathing on you, giving you prompts, goading you, prodding you, giving you impressions mentally, emotionally, giving you a kind of intuition that could be called 'prophecy' - it's a kind of revealing of what God wants. There are various ways - it's a bit like listening to the voice of God. I said it before: you need to study how to listen to the voice of God. But this is the parting shot that I want to give you here today: like all the gifts of the Spirit, it's according to our faith. Romans 12:6: 'Having then gifts differing according to the grace that is given to us' - they're from God - 'let us use them' - we've got to use them - 'if prophecy, let us prophesy in proportion to our faith'. All these gifts are connected to faith. In regard to prophecy: do as much prophecy as you have faith for, and then shut up! Don't go off on one, on your own steam, but prophesy and move in all the gifts according to faith. If you want to hear from God, and you want to operate in the prophetic, it requires waiting on God. It requires listening for God, to hear the promptings of His heart. Can I also say to you: if you want to be moving in the prophetic, you need to saturate yourself in this book, the Holy Scriptures, the Word of God - because all the biblical prophets were immersed in the Bible. You need to know the revelation God has already given, if you're wanting to move in revelation for the now, today. But guess what: the more you practice - in faith now - the more you grow. A toddler that is constantly worried about using wrong grammar is never going to learn to talk. So, as we venture out into this area of the gifts of the Spirit, we need to be humble, we need to recognize nobody has the perfect thing - but we need to take risks, and we need not to take ourselves too seriously either. Some of us have a Christian perfectionist mentality, and we're so scared of failing or being wrong. 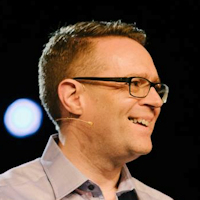 This sermon was delivered at The Journey Church in Lisburn, Northern Ireland, by David Legge. It was transcribed from the fifth recording in his The Gifts Of The Holy Spirit series, titled "Prophecy" - Transcribed by Andrew Watkins, Preach The Word.